In a digital world where fashion trends feel dated after only one season of social media inundation, the concept of creating your own look with not-so-of-the-moment pieces sounds refreshing. 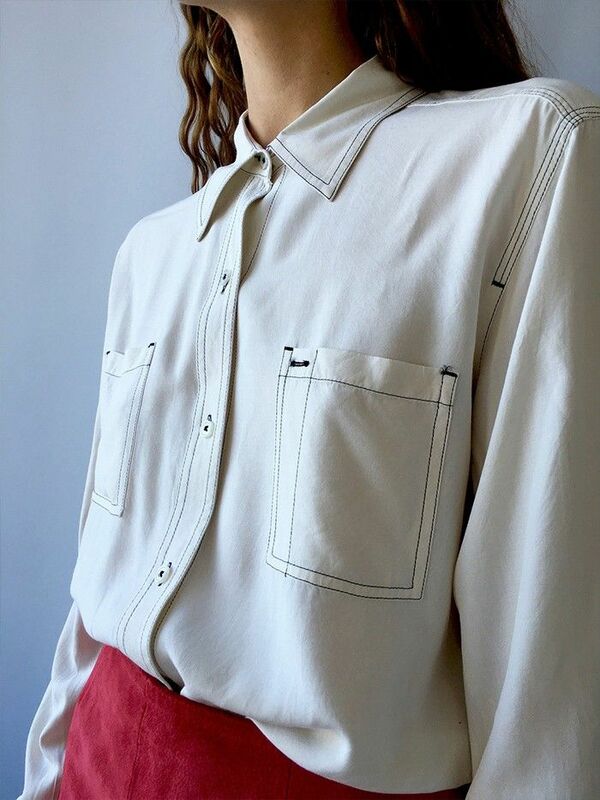 And if you’re like the women behind new vintage site Petra von Kant, you’re driven not by trends but by fostering a personal aesthetic that’s revealed in the way you construct an outfit. The site just launched this week, and we were eager to get the inside scoop from creators Olivia La Roche and Alexes Bowyer on the story behind their stylish site. See below for a roundup of our favorite items you can shop right now (hurry before they sell out! ), and be sure to let us know if you’ll be snagging anything from Petra von Kant in the comments. Go for that cowboy-inspired look with this contrast-stitching blouse. Pile a bunch of bangles on your arm for a bold accessory moment. A sultry take on the boudoir trend. In case you need the perfect party dress. For ladies who like to accentuate their waists. Your new fall coat is beckoning. Attach to thick piece of ribbon for an update to your basic black choker. This skirt is versatile and timeless. Choose suede in an unexpected hue this season. We told you this shoe trend was coming back! Not your basic leather pants. Check out another one of our favorite vintage sites for more inspiring ideas.